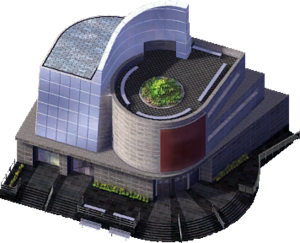 The Major Art Museum is a Civic Building that provides Education to your Sims. Museums are designed to provide a School-like effect on an older Sim's life, however they are still treated as Schools by the game's code. The Major Art Museum provides a progressively stronger effect as a household gets older. In Museum rankings, it is superior only to the City Museum.